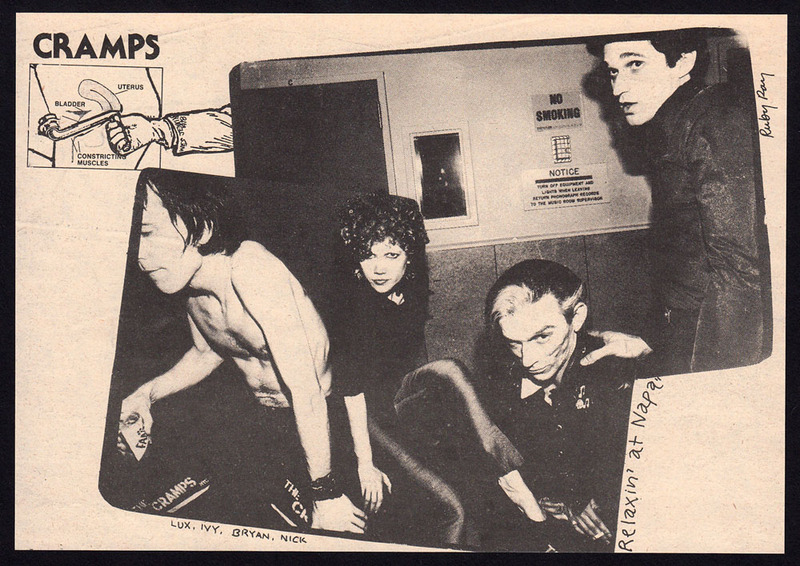 A delightful Ruby Ray photo of the Cramps at the legendary Napa State Mental Hospital. Measures roughly 8" x 5". Clipped from Search & Destroy (1978).